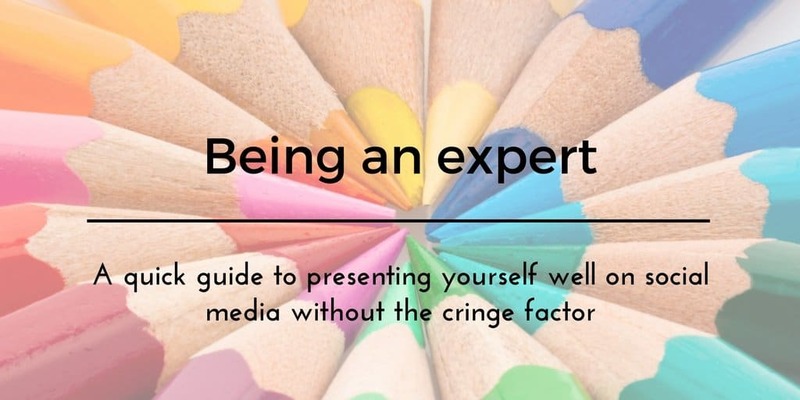 I had the pleasure of working with an academic team at the start of the year on the subject of presenting yourself as an expert on social media without it being cringeworthy. The discussion we had could apply to any professional. At the heart of the debate was a natural reluctance to label themselves as experts, even though everyone in the room had a track record as a clinician prior to their academic career. Simply posting a series of posts about your own work can feel excessive and inauthentic, and the team felt that this wouldn’t be of particular interest. 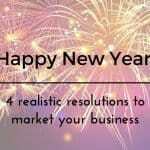 But whether you like it or not, your customers are looking for you on social media and forming a judgement about whether they engage with you. One member of the team mentioned that prospective students looking for more information on courses were googling her name, and looking at her online profiles before contacting her to ask specific questions. Suddenly having a credible and professional profile, that presents your expertise clearly, becomes a necessity rather than narcissistic. So how do you achieve this? The first point is deeply cringeworthy, but you don’t have to tell anyone. Simply google yourself. What do you find? Are the top profiles on Google yours? If so do they have old photos or out of date details? Are there accounts you had forgotten you had? 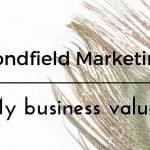 This is a useful benchmark – you can repeat the exercise after you have spent some time improving your social media channels. Think what it is you want to achieve in your social media activity. Is the purpose to connect with other experts, to share ideas, to attract customers/students/funding? Whatever you want to be famous for, you need to keep that in mind as you work on your profile and your content. Whichever social media channel you choose to use professionally (and you don’t have to do them all), spend some time on your profile. Ensure your photo is professional and up to date. Think about what your cover image should be – and check that you have the right dimensions. Use appropriate keywords in your profile to reflect your purpose. Content is key. Your own content can include images, video, links to your own website or blog site. Don’t underestimate how interesting your day to day job is to those who are training to join your industry; simply sharing a day in your work life can present your expertise very effectively. But don’t just post your own material. By sharing content from other experts in your field you show you are up to date in the debate in your industry and keep your own feed interesting and fresh. There are a range of tools to help you find content and schedule it in advance, so you aren’t constantly on Facebook or Twitter. Engage authentically. Ask questions of others, find out more about how they work, be supportive and interested. Disagreeing or arguing is absolutely fine too, but this should be achieved with dignity and style. If you have evidence or a case study that proves or disproves a point, share it and invite discussion. Finally if you work within a team, you should also think about how you plan and co-ordinate your efforts. If you have many stakeholders you may find it more effective to each focus on different ones, maybe using separate platforms. If you want to present yourself or your team as experts on social media, we can offer a range of training or mentoring options, please get in touch.